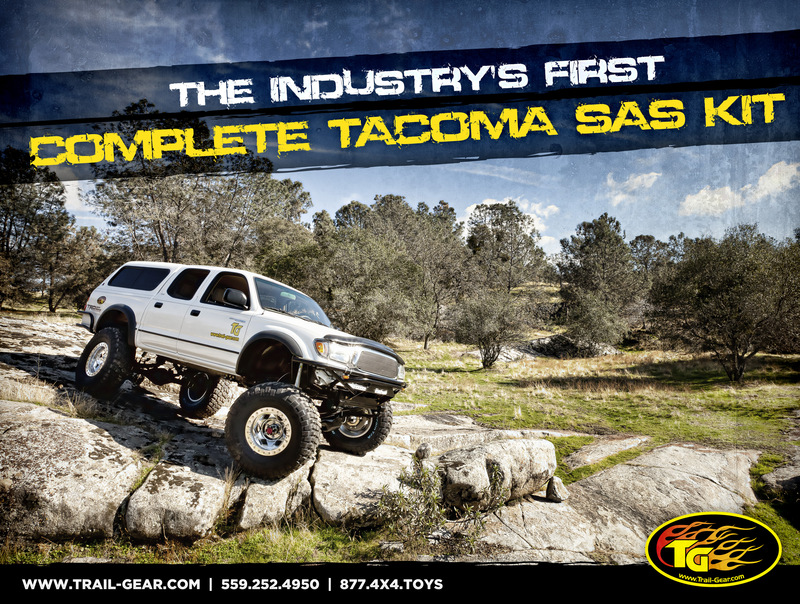 Trail-Gear is proud to introduce a great group of new products: Complete Tacoma SAS Kit, Tacoma Rear Lift Kit, O.D Tube Clamps and the Rock Defense Tacoma Single T-case Crossmember! Trail-Gear is proud to be the first in the industry to develop a series of Tacoma SAS Kits for 95-04 Tacomas that are complete, user friendly, and affordable. Trail-Gear has a great respect for the Tacoma, and the Tacoma market, so we have really dedicated ourselves and our resources to developing a full line of Tacoma products and this kit is just one of many you will see released from Trail-Gear in the coming days. ail-Gear’s first addition to the Tacoma SAS Kit family will be Kit (A), a kit that is not axle specific, but comes with everything else you will need to hang an axle from your Tacoma. We have included everything you will need to remove your OEM rack and pinion steering and bolt up an IFS box from an 86-95 mini truck or 4Runner. The kit includes frame tubes and frame tube jigs as well as the front spring hanger, so hanging the leaf springs will be a simple as following the step by step, illustrated instructions. The stock front bumper can also be reused with this kit. All gussets and frame supports are included so the Tacoma will be much stronger when you finish with the build than it was from the factory. After installing this kit all that is left to do is pick an axle housing and hang it from the leaf springs. The Trail-Gear 95-04 Tacoma Rear Lift Kit is complete, easy to install, and durable. Using your stock Tacoma axle housing, our lift kit, along with the easy to use full color instructions, you can be on the road within a few hours with a 3, 4, or 5 inch suspension lift that you enjoy on the toughest trails for years to come. Included in the kit are the inner frame support brackets with shock mounts incorporated into the support tube, offering a clean but durable look. The Trail-Gear 95-04 Tacoma Rear Lift Kit allows you to choose what size shocks and leaf springs that you want shipped with your kit, and all hardware is included. This kit will get you there and back every time. The O.D. 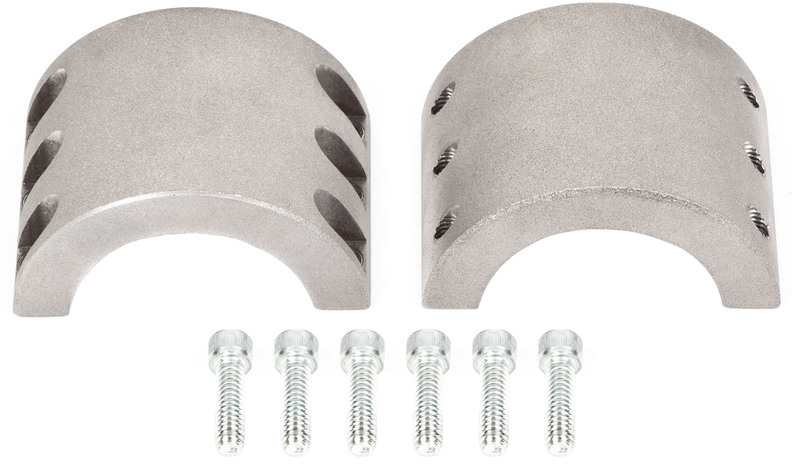 Tube Clamp is perfect for attaching shock brackets to suspension link or steering brackets to steering rods or links and allows you to attach steel mounting brackets that are readily available to aluminum suspension links and steering rods that you could not otherwise weld steel brackets to. 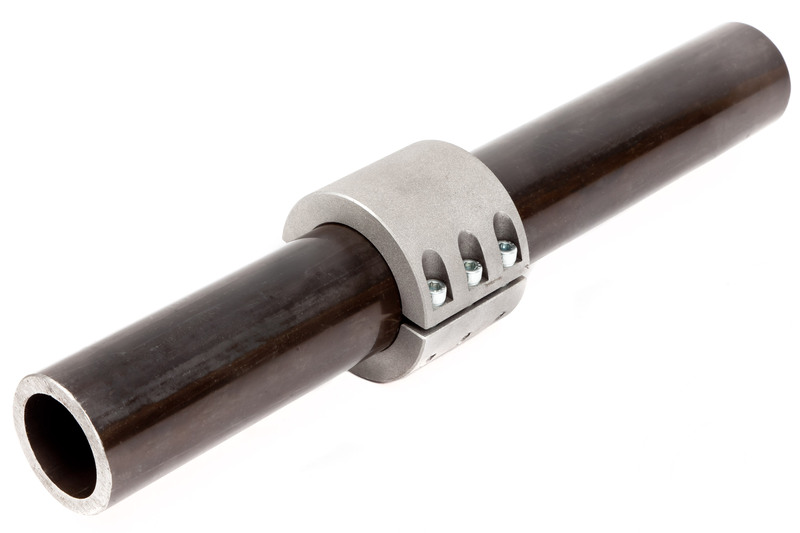 Manufactured from 1020 steel, with a clamping force of up to 8,600lbs these tube clamps will not fail even under the most extreme circumstances. Sold Individually. Our Rock Defense™ Tacoma Single T-Case Crossmember fits 95-04 single t-case, automatic and manual transmissions, and uses your stock t-case mount. The kit can be mounted either by drilling the frame and bolting the crossmember in, or simply welding the crossmember mounting brackets to the frame and bolting the crossmember to the mounting brackets. The crossmember comes with grade 8 hardware and top locking nuts and is made from 3/8″ thick 1010 steel so you have confidence that your t case is supported and covered when you are sliding over even the nastiest rocks. Shipped raw, unpainted.